There is a part of who we are that sees no light, feels no light and speaks without lightness, what is this part of us? 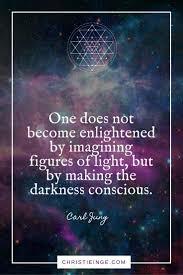 You may have heard the term ’shadow self’, this is a very good description indeed, for the shadow within us is the dark expression of our Ego. It has been debated that our Ego and our Soul are separate, I do believe this to be true. Our ego has a voice which is quite profoundly different from the voice of our soul, each has its own tone and a unique way of expression. In order for us to create a healthy relationship with our soul, we must face our shadow and make resolution with what it stands for. Our dark and gloomy shadow cringes and cowers, hides and retreats, it is afraid of the light, for the lightness illuminates the darkness inside of ourselves, there is no where to hide, no place to run. The light demands the darkness to go away, but where will it go if it does not know the way! Our Ego Self is ancestral in its absorption of distorted truths, it fuels itself with drama, using situations from our life to feed its hungry belly. What ignites the ego minds desires, are chatter and actions we use to fill our time, other peoples faults are a perfect target, the ego adores gossip of any kind. Each moment we catch our ego it is an opportunity for us to witness our darkness, a perfect chance for us to recognize where the dark resides inside. Our Soul Work in this life experience, is to work towards abolishing what holds us back from the natural radiance in which we were born. We have been downloaded with a program that doesn’t belong to us, we have inherited it’s contents, it was part of the plan before we came. Is it time for you to filter through the workings of your programmed mind, so you may step into the most highest expression of your soul! What beliefs about yourself have you started to question, what fears do you recognize are ridiculous and untrue? Let your darkness show you the way to your light, no need to be afraid, this part of your journey is natural part of the path.